I'm not much of a watch girl. Up until recently, my only watch was this La Mer wrap watch. However, the quality wasn't the best, and the leather started to fray after a couple months (of course, this wasn't covered by warranty). I still wore it often, but it was recently left behind at a hotel and then promptly stolen by housekeeping. Sad times, my friends. However, none of my classrooms this year have clocks in them and I find it unprofessional to continuously check my cellphone, so a watch is a must. I wear both gold and silver on a regular basis, and at the same time. In fact, I'm doing it right now, so I figured a two-tone watch would be the way to go. But, looking around, I'm not convinced, because there are so many other pretty watches I love. Here are a few options, what's your fave? 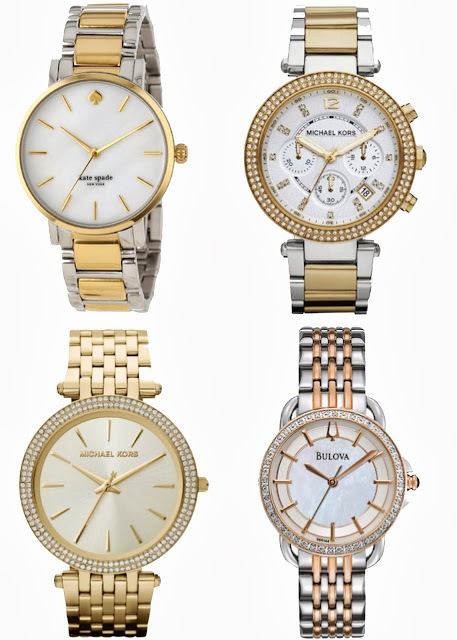 I'm leaning towards the Kate Spade Gramercy Watch and bottom Michael Kors Watch (although I like the Bulova Watch and top Michael Kors Parker Watch too), but to be honest, I am not sure if I love them, and I don't want to spend $200+ on a watch if I don't love it. I always forget to take my watches off when I wash my hands, so I'm not sure if a should risk a leather band. Suggestions? There are just too many options! 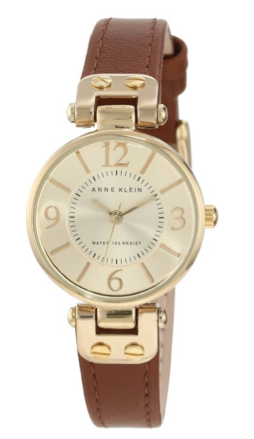 Oh, and I love, love this Anne Klein Champagne Dial Watch . 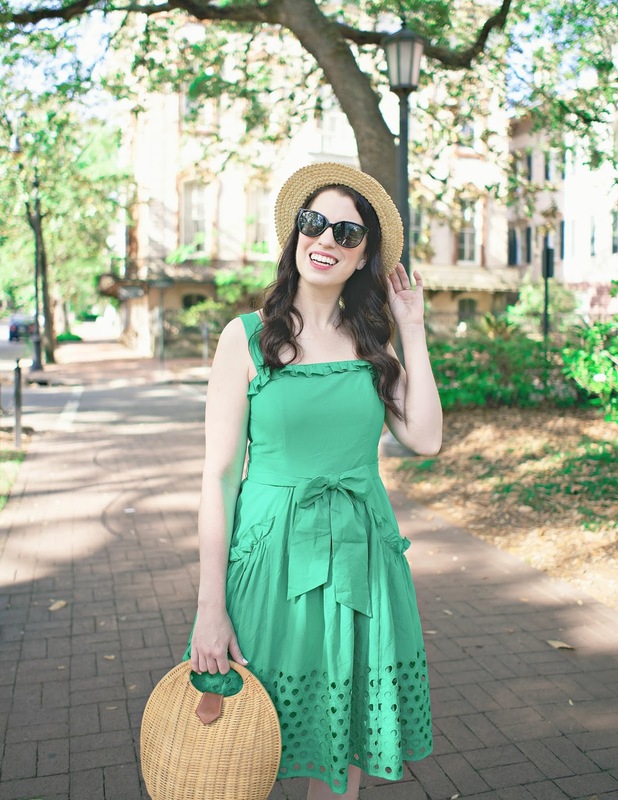 I think it's so classic and would obviously go great with any outfits geared towards warmer colors. 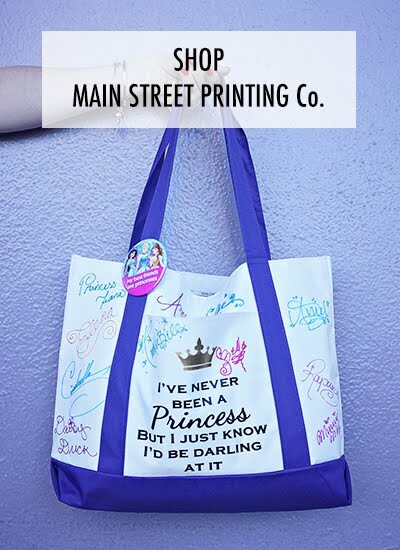 Plus, at $39.99 with free shipping, it's an amazing deal. I think I might pick it up this fall, I can't see it ever going out of style. I think it has a hint of an equestrian look to it, too.